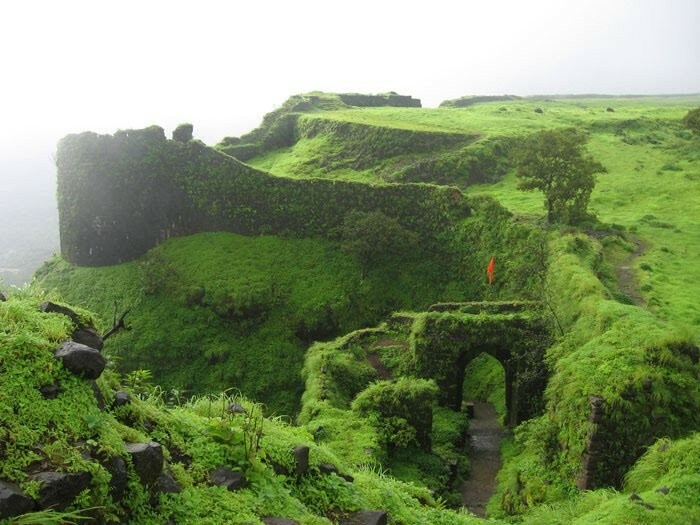 Korigad (also called Koraigad) Fort is located about 20 km away from Lonavala in Pune District in Maharashtra. It is about 929 m above the sea level. The Closest village is Peth Shahpur. There are two lakes on the top of the fort. 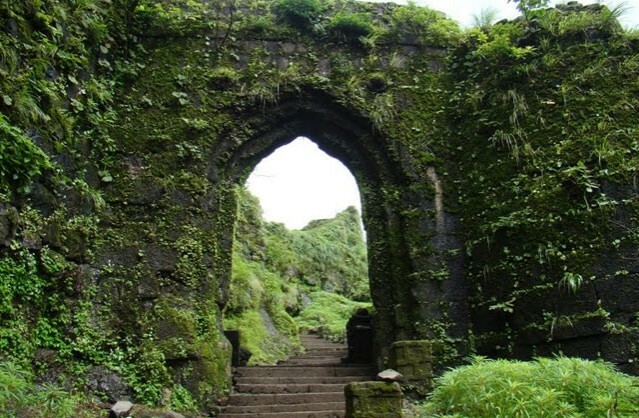 On the top there is a temple of Koraidevi and also many other small temples. The interesting part of the fort is that its wall is completely intact and one can walk along the entire perimeter.